Welcome to the website for Quidhampton Parish. This website provides information for use by the parish, provided by the Parish Council and the community. If you have anything to contribute or would like to get in touch, please contact us. Quidhampton is a village and civil parish in Wiltshire, England, with a population of 404 according to the 2001 census. It forms part of the Salisbury urban area and is around 2 miles west of the city centre. The parish and village adjoins Wilton to the west, the unparished area of Salisbury to the north and east, and Netherhampton to the south. The name Quidhampton probably means "muddy home farm" or "home farm with good manure", from the Old English cwéad (dung, dirt) + hām-tūn. 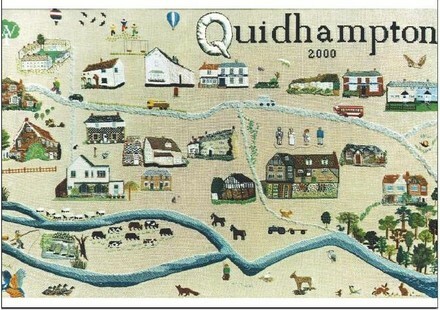 Until 1894, Quidhampton was a tithing of Fugglestone St Peter, and it then formed part of the new parish of Bemerton until it was established as a parish in its own right during the 20th century. Quidhampton is now a thriving village just off the A36 with it's own village pub, village hall, various social and community groups and businesses including Bed & Breakfasts. We have regular events throughout the year for parishioners and folk from further afield and one of our villagers publishes a Newsletter every month with all the latest news and information. View and download official Parish Council documents and files including minutes and agendas of meetings. News, information and other updates about the parish. Open (but moderated) forums to share information and discuss topics. Post items wanted/for sale, let the parish know about something, or whatever you like (within reason of course!). Quidhampton is located just to the west of Salisbury between Salisbury and Wilton, north of Netherhampton.